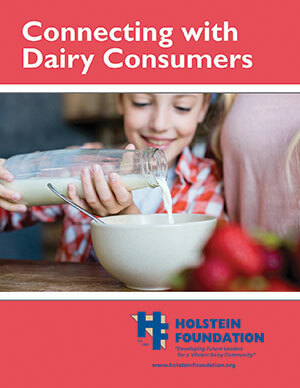 The Holstein Foundation is excited to announce a new workbook, “Connecting with Dairy Consumers.” This new workbook aims to help youth, their parents and dairy project leaders communicate with consumers about dairy farming. “Connecting with Dairy Consumers” identifies key messages and ideas to be an “agvocate,” connect with consumers and promote the dairy industry and its products. Sharing the dairy story with others will help create a deeper understanding and a positive image for the dairy industry. The Holstein Foundation provides a series of free, educational workbooks available to download online. “Showring Ready” and “Dairy Judging” are the most popular topics, but resources are also provided on topics ranging from dairy nutrition and reproduction to genetics. To download the workbook for free, visit www.holsteinfoundation.org/education/workbooks.html. Each year, the Holstein Foundation’s workbooks are downloaded by thousands of people around the globe. Donations to the Holstein Foundation’s youth education and outreach efforts help make them possible. With questions, contact Kelli Dunklee at 800.952.5200, ext. 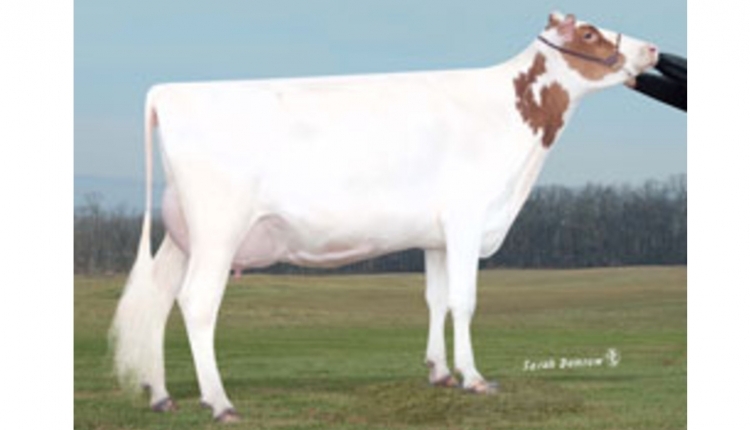 4124, or kdunklee@holstein.com. Visit www.holsteinfoundation.org/education/workbooks.html to download online.